As a natural redhead with the freckles to prove it, I love St. Patrick’s Day. And while I’ve technically got more Scottish than Irish blood running through my veins, on St. Patrick’s Day I’m all Irish, along with everyone else in the United State. We’re heading to a private St. Patrick’s Day party on Saturday night – invited by Clan McCarthy – we’re talking homemade corn beef & hash and the whole nine yards, but I don’t have plans for Saturday during the day. Since I’m personally trying to decide on which St. Patrick’s Day parade or party to attend this weekend I thought I’d compile a quick list of as many as I can find so that you can make an educated decision as well. 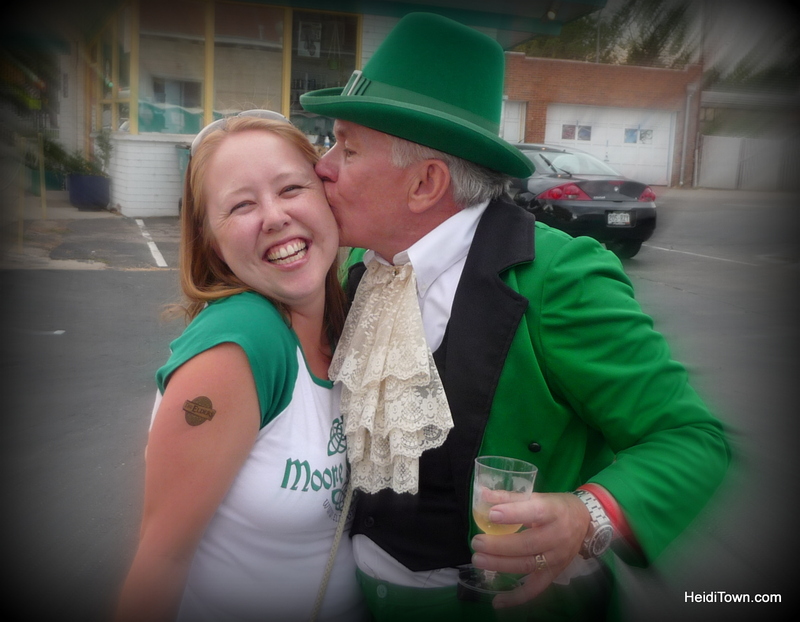 The Mayor of HeidiTown (that’s me) getting a kiss from a Leprechaun. St. Patrick’s Day, March 17, falls on a Tuesday this year, so community parades and parties are scheduled for Saturday, March 14, 2015. Denver loves St. Patrick’s Day. In fact, the city has been celebrating the holiday since 1889, but for the past 50 years a team of passionate volunteers, officially incorporated as the Denver St. Patrick’s Day Parade Committee, puts on a huge parade that brings thousands to downtown. The parade kicks off at 19th St. and Wynkoop at 9:30 a.m. on Saturday. For 31 years, the residents of the Springs have been celebrating all things green on St. Patrick’s Day. Today the event includes several foot and bike races in addition to the parade. The parade kicks off at noon in downtown Colorado Springs on the corner of Tejon Street and E. St. Vrain and continues south on Tejon Street to Vermijo. It doesn’t look like they have a parade in Durango, but they do have a St. Patrick’s Day Train schedule for March 17. Hop on the Durango & Silverton Narrow Gauge Railroad and enjoy Celtic music and traditional Irish beer and whiskey. Events runs 9:45 a.m. to 3 p.m.
Olde Town Arvada has expanded their St. Patrick’s Day activities this year. On Saturday, from noon to 6 p.m. historic Arvada will be alive with the sights and sounds of Ireland. Because of the popularity of last year’s party, the festival has expanded to include an additional block. The Lucky Joe’s St. Patrick’s Day Parade in Fort Collins is a fun tradition that brings out the entire town. The parade starts at 10 a.m., as does the party in Old Town Square. This is a really long parade with more than 80 floats and the party goes all day long with music on the Old Town Stage. 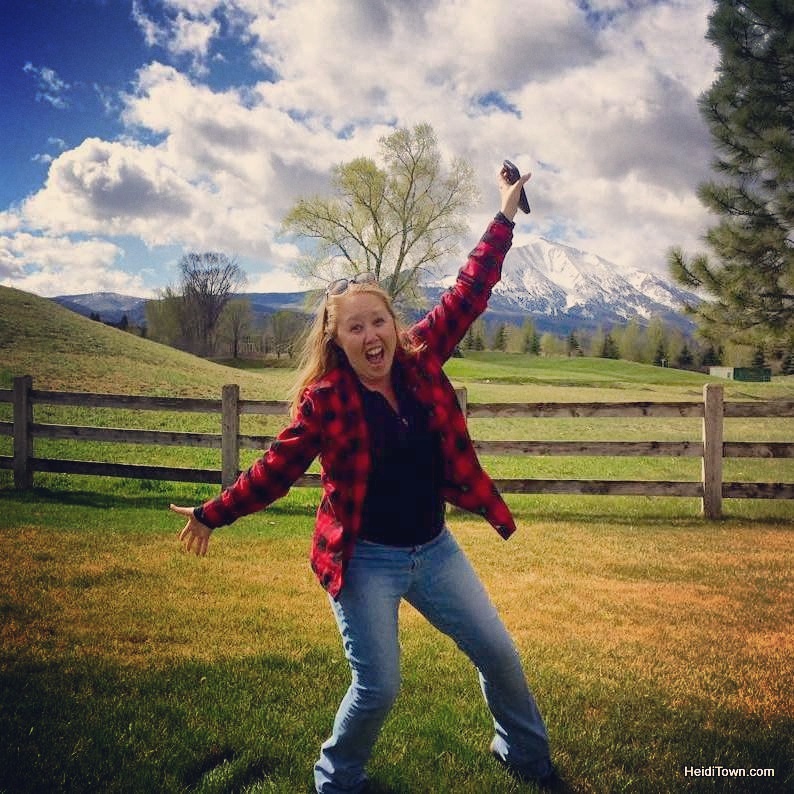 If you know about another St. Patrick’s Day party in Colorado, please list it in the comment section below. Blarney on the Block is a parade plus party in downtown Greeley, and if you haven’t been to downtown Greeley lately, you should go. The parade starts at 2:30 p.m. and Greeley’s Go Cup policy (open container policy) is in full effect from 2 to 6 p.m. on 9th Street Plaza. This means that you can listen to live music and enjoy the festivities all while drinking a beer in the street. Now that sounds like my kind of party, Greg! We will be down in Denver on Saturday. May have to swing by and check that out. Thank you for the tip and thanks for stopping by HeidiTown today.